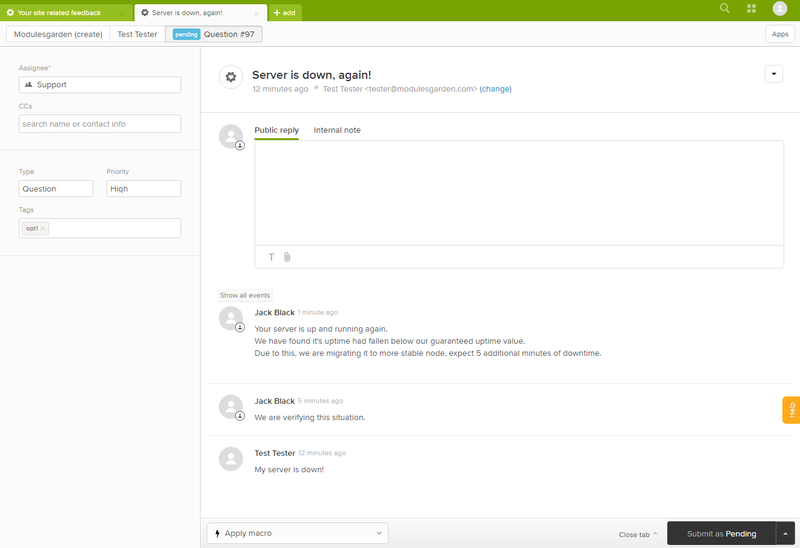 Zendesk For Blesta is a perfect choice for all Blesta owners who use Zendesk! 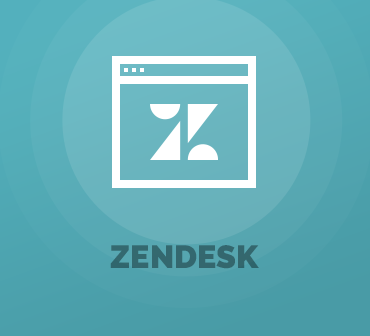 It connects the two systems finely to bring all Zendesk innovations straight into your client area, while replacing the inbuilt Blesta support system with one of the most desired customer service solutions. Owing to our extension, your customers will never again need to leave your client area to open new tickets or see your replies sent from the Zendesk platform. 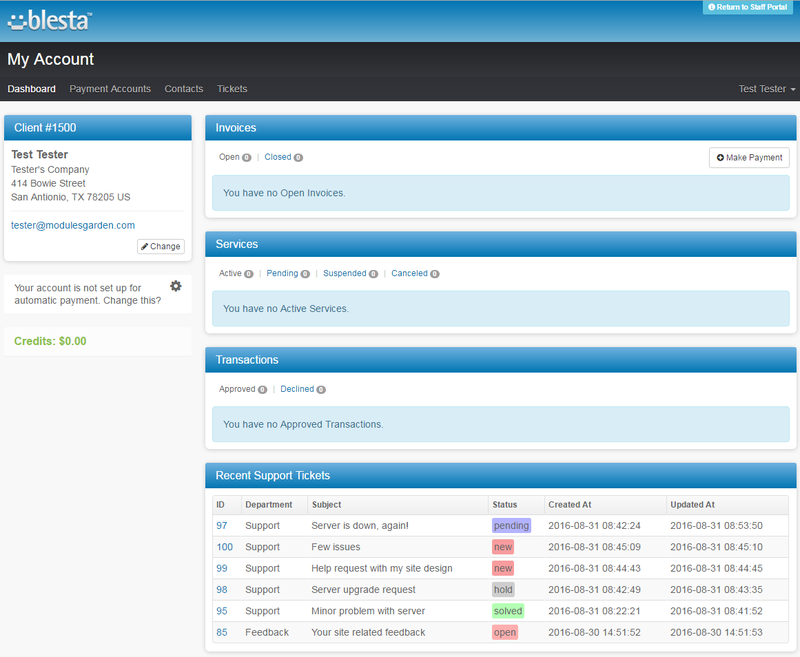 As an administrator, you will easily handle all the tickets from within both Blesta and Zendesk. With the means for customizing the visibility of tickets according to their status, the entire appearance will remain clear-cut and exquisite to look at. 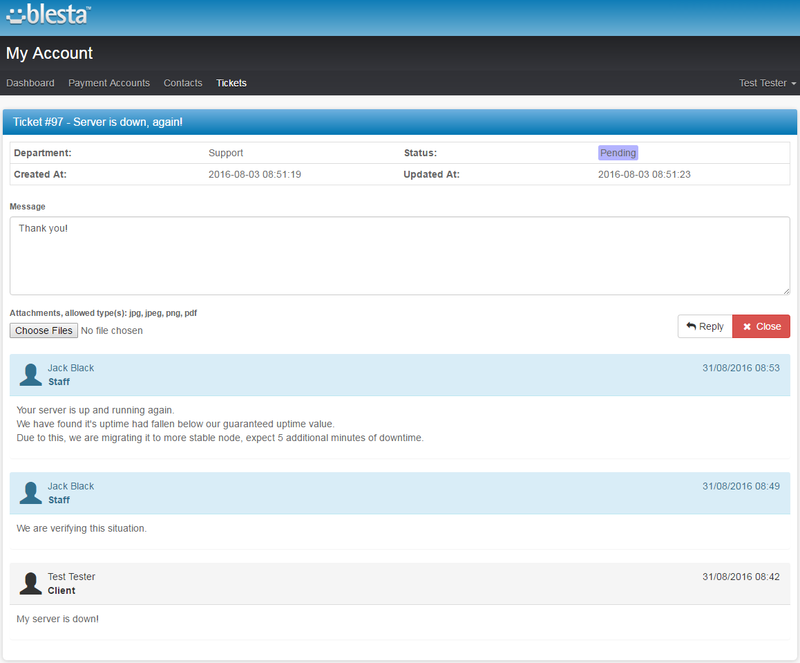 What is more, any ticket field enabled or created in Zendesk will be immediately put into practice in Blesta formula. The automatic integration guarantees that not only every new ticket will be transferred to Zendesk but also a customer account will be set up in the platform as soon as the ticket is sent. 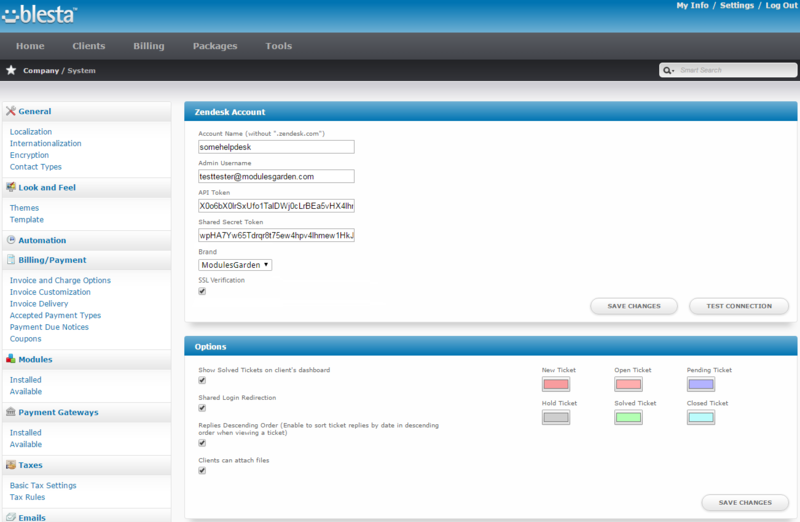 The plugin is compatible with the Zendesk's Multibrand component and thereby let you freely select which brand from those available in your support tickets management system should be connected with a given Blesta instance. We are all well aware that it is the condition of the customer service that speaks the loudest for our businesses. 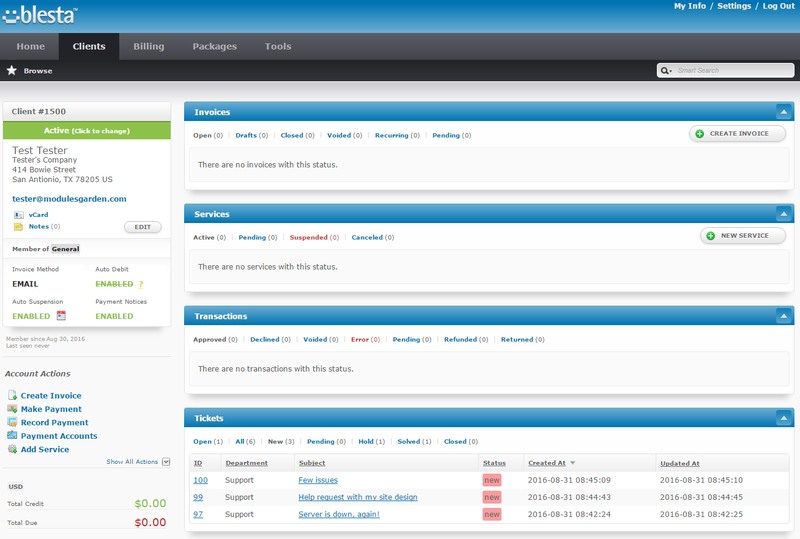 Do not waste the sure-fire opportunity to make your front-line services impeccable and order Zendesk For Blesta today!